Pope Francis has given a radical ‘antidote’ for the ‘virus’ of fake news, namely purification by the truth. 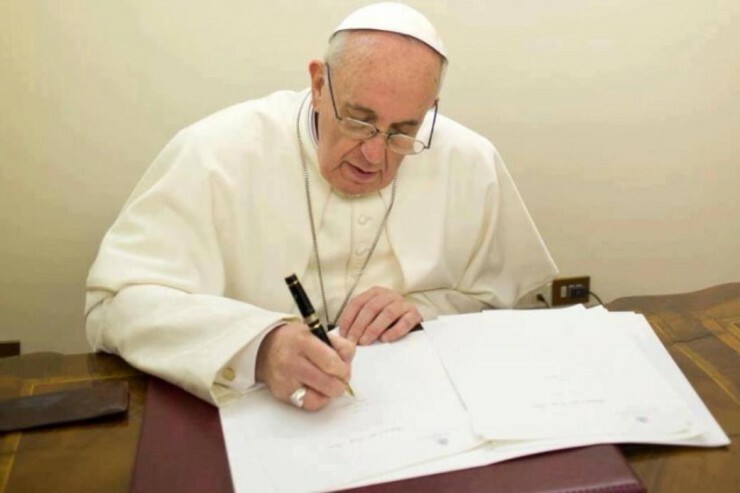 The Holy Father did so when denouncing ‘fake news’ in his message for the 52nd World Communications Day, titled ‘The truth will set you free” (Jn 8:32). Fake news and journalism for peace’. This year, the day will be celebrated on May 13, the Feast of the Ascension of the Lord. In the message, the Pope reminds that human communication is an essential and beautiful part of life, bur warns that distorted communications can cause much harm. Examining how to “recognize” such false news, the Pontiff reminds that when the truth is manipulated, it is not just ‘the public’ or ‘an audience,’ that is affected, but real people. “In today’s fast-changing world of communications and digital systems, we are witnessing the spread of what has come to be known as “fake news.” This, the Pope said, calls for reflection. The Pope stressed his desire to contribute to “our shared commitment” to prevent the spread of fake news and to rediscovering the dignity of journalism and the personal responsibility of journalists to communicate the truth. Fake news, the Pontiff said, is a sign of intolerant and hypersensitive attitudes, and leads only to the spread of arrogance and hatred, which he said, is the end result of untruth. “None of us can feel exempted from the duty of countering these falsehoods,” he noted, while acknowledging that this is no easy task. “Constant contamination” by deceptive language, the Pope said, can end up darkening our interior life. The Holy Father encouraged communicators to realize that we discover and rediscover the truth when we experience it within ourselves in the loyalty and trustworthiness of the One who loves us. This alone, he said, can liberate us. To discern the truth, we need to discern everything that encourages communion and promotes goodness from whatever instead tends to isolate, divide, and oppose. Peace, the Pope said, is the true news. The best antidotes to falsehoods, the Pontiff said, are not strategies, but people, people who wish to listen and are interested in sincere dialogue to make the truth emerge.